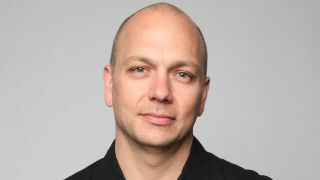 Tony Fadell, founder of Nest, is no longer CEO of the smart home firm. "I have decided that the time is right to 'leave the Nest,'" Fadell wrote in a blog post announcing his departure. While the news may strike some as sudden, Fadell noted the leadership transition has been underway since late last year. He won't be gone entirely from Alphabet, which owns Nest, and will take on an advisor role to the company and Larry Page, Google co-founder and Alphabet CEO. The new role will allow Fadell to stay involved with Nest, though not in its day-to-day operations. Fadell, a tech maverick who's also credited as the "father of the iPod," plans to take his industry-disrupting credo outside the smart home walls: "This will give me the time and flexibility to pursue new opportunities to create and disrupt other industries - and to support others who want to do the same - just as we've done at Nest." Marwan Fawaz, a former Motorola exec who ran its Motorola Home division, is now Nest's CEO. Fadell founded Nest in 2011, and almost immediately its impact on the smart home space was felt. Google swooped in to buy it two years ago in a $3.2 billion blockbuster deal. It was Google's third-largest acquisition ever, and many viewed it as a match made in tech heaven. Nest would eventually be shuffled into Alphabet, Google's new parent company. Fadell was also put in charge of Google Glass, a device with well-documented struggles. Though Fadell says Nest revenue has grown in excess of 50% year-over-year, the company has had its share of problems, too, including a quasi-recalled smoke and carbon monoxide detector and slow product release cycle. Scrutiny also began to fall on Fadell earlier this year as reports of his difficult management style surfaced. In March, Dropcam Founder Greg Duffy wrote a defense of his company that was damning of Fadell and other Nest leaders. Despite its struggles, Nest has grown from its beginnings as a smart thermostat company to encompass a number of smart home products, software and services. There's also the Works with Nest ecosystem that allows third-party devices to sync up with Nest products. Losing Fadell is a major blow to Nest, but the company also seems poised to embrace a new future and reach the heights we've expected it to all along. With Google making fresh moves into the smart home with Google Home, we think Nest will be an even more integral part of Alphabet's efforts to grow its empire. Update: Larry Page and Tony Fadell have issued statements on Fadell's departure. Page said: "Under Tony's leadership, Nest has catapulted the connected home into the mainstream, secured leadership positions for each of its products, and grown its revenue in excess of 50% year-over-year since they began shipping products. He's a true visionary and I look forward to continuing to work with him in his new role as advisor to Alphabet. I'm delighted that Marwan will be the new Nest CEO and am confident in his ability to deepen Nest's partnerships, expand within enterprise channels, and bring Nest products to even more homes." It's interesting to note he points out enterprise as an area of growth for Nest. "Last year, I began discussions with members of my team about my next endeavor. After six years of working on Nest, leading it through 4.5 years of double-digit growth and consistently high marks from customers, I leave Nest in the hands of a strong and experienced leadership team, with Marwan at the helm and a well-defined, two-year product roadmap in place. I'm looking forward to my new role as an advisor to Alphabet and Larry, which will give me more time and flexibility to pursue new opportunities to create and disrupt other industries - and to support others who want to do the same - just as we've done at Nest." Which is better for your home: Google Home vs Amazon Echo?